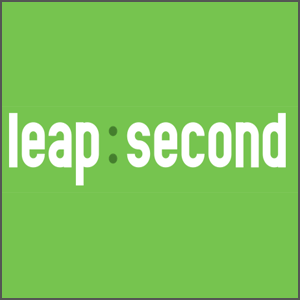 Leap Second is Android’s site celebrating the 1 extra second that was added to the clock on June 30 this year. What’d You Do With Your Leap Second? On June 30, an extra second was added to the world clock. That means that the last minute on the last day of June this year lasted 61 seconds. The phenomenon is known as a “Leap Second,” and its designed to keep our clocks in tune with the Earth’s rotation. It’s a necessary correction that takes place every few years. Because everyone in the world technically had an extra second on this year’s Leap Second day, Android created an interactive site to document the experience. The site features 1 second, user-submitted videos showcasing what individuals from around the globe were doing in order to celebrate. You can browse Leap Second‘s site in a few different ways. 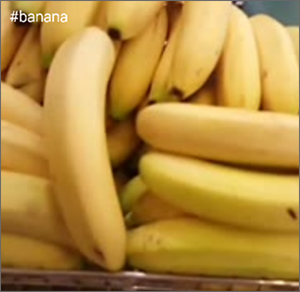 Users uploaded hashtags to correspond with their videos — so you can find based on a particular theme or event. You can also browse by scrolling around the interactive site, or by clicking “Play All.” If you do the latter, a lengthy stream of 1 second videos is instantly strung together. The videos all depict random people and places, but it’s cool to see how the world looks in just one second. 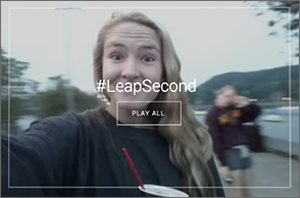 Now that we have the power to capture every moment via our (Android) smartphones, it’s cool to see such a positive project like Leap Second put together.